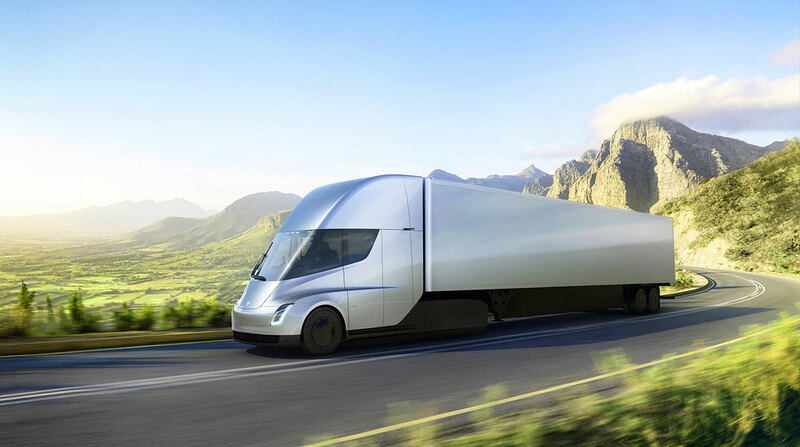 Logistics firms are joining trucking companies in checking out the potential for the Tesla Semi, with at least two testing prototypes of the electric truck. DHL Supply Chain, which provides transportation, warehousing and distribution services for U.S. manufacturers and retailers, ordered 10 trucks to test at customer facilities in major U.S. cities. “This is a revolutionary approach to trucking, and we want to be a part of it for our customers, for our employees and for our industry,” said Jim Monkmeyer, president of transportation at Westerville, Ohio-based DHL Supply Chain North America, in a company release. DHL reported it would use the Semi for shuttle runs and same-day customer deliveries, and test its efficiency on longer runs from major markets to DHL operations across the country. DHL Supply Chain’s Tesla initiative is fully supported by its German parent Deutsche Post AG. William F. Meahl, the firm’s global chief commercial officer, recently blogged that automated road freight will save costs, reduce emissions and make roads safer. The Tesla Semi is powered by a battery pack and four independent electric motors on the drive axles. The Semi does not employ autonomous, or driver-assist, capability, but it does feature such next-level driving technology as active steering, automatic lane keeping, automatic emergency braking and lane-departure warnings. DHL also is interested in the technology due to a shortage of drivers that is affecting the company globally, he said. Meahl in his blog cited the Managing the Transition to Driverless Road Freight Transport study issued last year by the International Transport Forum. It predicted that by 2030 there will be a need for 6.4 million truck drivers in Europe and the United States, while only 5.6 million will be available and willing to do the job. DHL ranks No. 4 on the Transport Topics Top 50 list of the largest logistics companies in North America. XPO Logistics Inc. also is reportedly testing the Tesla Semi. In a client report, Morgan Stanley analyst Adam Jonas said that XPO staff have been “testing live prototypes” of the truck for 18 months, and have found that the truck lives up to Tesla’s claims of recharging time, anti-jackknifing features and power delivery compared with diesel trucks. XPO has a less-than-truckload division that operates a fleet of 8,363 tractors. An XPO spokesperson declined to comment on the Jonas report. XPO ranks No. 1 on the TT Top 50 list of the largest logistics companies in North America. Tesla launched the Semi in November with a $150,000 base price for a tractor with a 300-mile range and an $180,000 base price for a version with a 500-mile range. Production is scheduled for 2019, and it costs $20,000 to reserve one of the trucks. Tesla said its Semi will provide $200,000 or more in fuel savings and a payback period of two years. A number of major freight-hauling firms have announced pre-orders, including 40 by Anheuser-Busch, 100 by Pepsi Co., 50 by Sysco Co., 125 by UPS Inc. and 15 by Wal-Mart Stores Inc. Fleet operators such as J.B. Hunt Transport Services, NFI Industries and Bison Transport Inc. and retailers Meijer and Loblaw Cos. confirmed that they have pre-ordered the truck or plan to do so.